It depends on what is the cause of the dizziness. Dizziness can be caused by many things, including low blood pressure, certain medications and vestibular (inner ear) dysfunctions. A very common cause of dizziness is an inner ear dysfunction called Benign (non-life threatening) Paroxysmal (occurs suddenly) Positional (related to head position) Vertigo, or BPPV, which some physiotherapists can treat effectively. The function of our inner ears is to help maintain our balance. It allows us to see objects clearly whilst our body and head are moving, through communication with our eyes and other body systems. 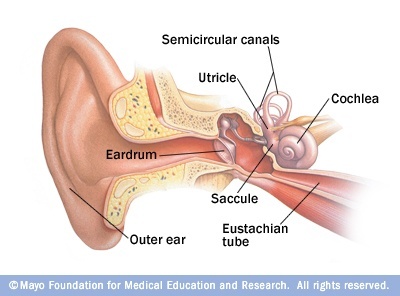 Each inner ear contains three organs; a saccule, a utricle containing crystals, and three canals which detect our head movements. BPPV occurs when crystals detach from the utricle and end up in the canals (usually the posterior canal). This in turn affects the ability of the canals to sense head position, resulting in the dizziness. The causes of BPPV are unknown, but it usually presents in people over 50 years of age. Previous head trauma, including previous concussion, is also a risk factor for this problem. The main symptom of BPPV is sudden dizziness (often described as spinning) brought on by a change in head position, e.g. rolling over in bed. You may also display some fast, involuntary eye movements whilst the dizziness is occurring. Although BPPV is not serious, it can be quite debilitating for the individual. 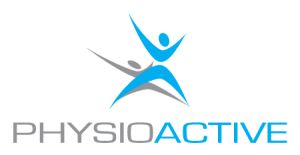 Most of our physiotherapists at Physioactive have had additional training in diagnosing and treating BPPV. Treatment involves the physiotherapist performing a head and body positioning manoeuvre to help return the crystals back to their usual spot in the inner ear (utricle). The manoeuver may need to be performed a few times to get rid of all the crystals, but our physiotherapists can teach you how to do this manoeuvre yourself at home, as well as perform ongoing exercises to help retrain any impairments to the vestibular and balance systems. Kerber, K, Burke, J, Skolarus, L, et al 2013, ‘Use of BPPV processes kin emergency department dizziness presentations: a population-based study’, Otolaryngology – Head and Neck Surgery, Vol 138, no. 3, pp. 425-430. Silva, C, Amorim, A, Paiva, A 2014, ‘Benign Paroxysmal Positional Vertigo – A review of 101 cases’, Acta Ottorinolaringol Esp, Vol 66, no. 4, pp. 205-209.